I finally figured out why I am stuck. Every day, I get stuck. I am really struggling to get past the most simple parts of lesson planning for my class, designing engaging, high-quality learning activities for each content area. Every day, I am opening my units of study and trying to decipher the actual pieces that need need to be taught and organize them into learning opportunities for students in a cohesive, linear manner. I work to make these lessons fit into little bundles that fit into the master schedule. I have about two hours for language arts, 90 minutes for math, 45 minutes for science, and 45 minutes for social studies. These units of study are between 20 and 30 pages each and they are broken down into several, well-thought out sections designed to help me make sense of curricular expectations. Some may say that the purpose of these units of study is to simplify what teachers need to do. I contend that one purpose of well-designed units of study is to slow teachers down so that PLC-style conversations happen. This may be the opposite of simplification, but it is an invaluable collaborative process in the long run. As a principal, I tried to slow teams down in order to focus conversations on DuFour's PLC questions. That focus always started with question #1: What do we need our students to learn? And #2: How will we know if they have learned it? The goal was to slow the conversation down and deeply discuss what each learning objective really meant, then design an assessment that checked their mastery at the agreed upon level of rigor. Backwards design! As a teacher, I already see the value of these conversations. After last week's collaborative planning meeting with my team, I am most confident with the learning standards we deeply discussed for language arts. Consequently, my plans for language arts most confidently align with the unit of study. I am least confident with my plans for the other subjects. It is still clear to me that it is impossible to review every standard in every content area every week. And I still need lesson plans. And I am starting from scratch. The last two weeks have gotten better and better. My instructional coach rightly urged me to trust several of the planning pieces that were put in place by previous 4th grade teams. This certainly made life easier. 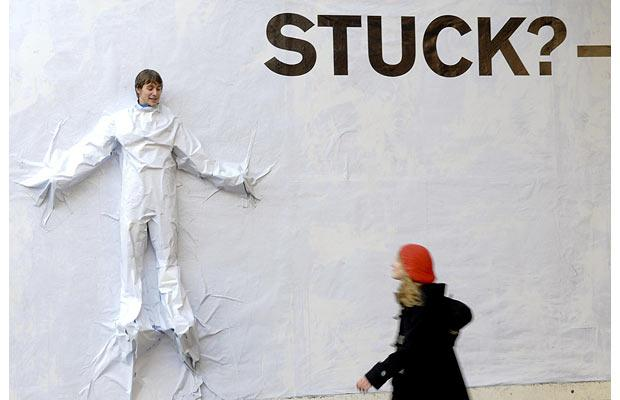 I am getting unstuck. My daily plans are getting done and the purpose for each learning activity is getting more clear. I continue to insist that my students think, talk, and write throughout the day. Busy work does not happen too often at all. Getting unstuck will be a year-long process. Getting better at the nuts and bolts of planning will take awhile. Right now, I am still set on designing learning activities that are high quality. I keep asking myself, "Can this be done in 50 hours a week or less?" Then I laugh and laugh and laugh.